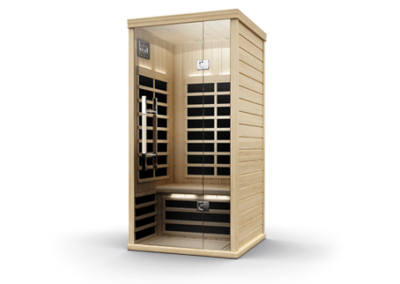 The Solace was designed to take advantage of Finnleo’s popular ‘new’ Deco Designs and the open feel of a ‘full-glass’ front wall. 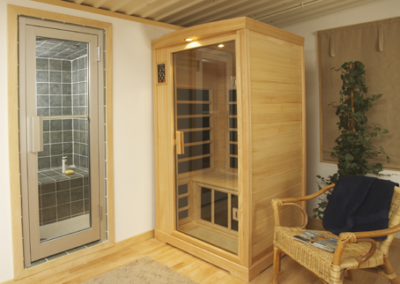 This sauna uses a frame-less All-Glass door, top panel and two full glass fixed side panels for an inviting and luxurious look. 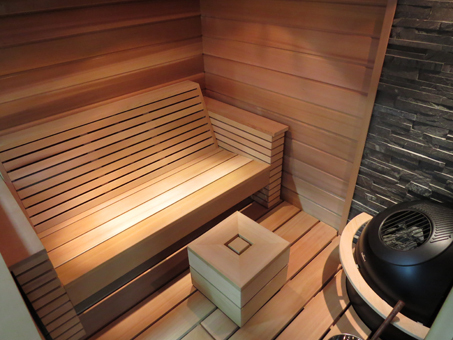 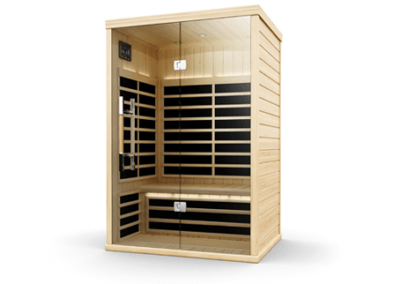 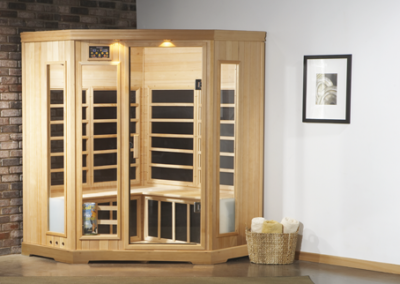 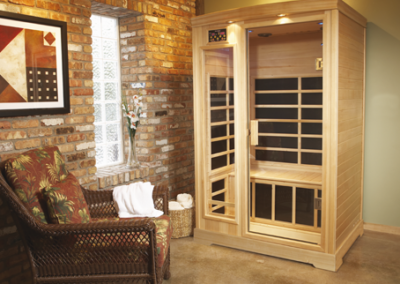 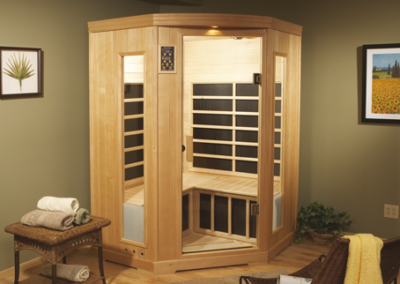 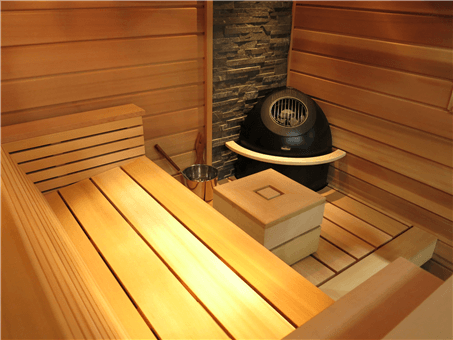 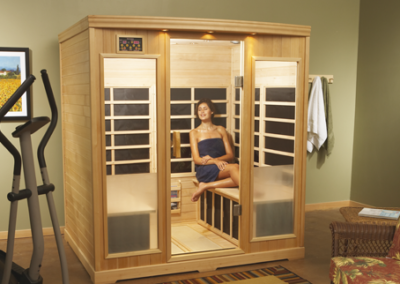 Best of all the Solace is among our most affordable Designer saunas, and it includes luxurious upgrades. 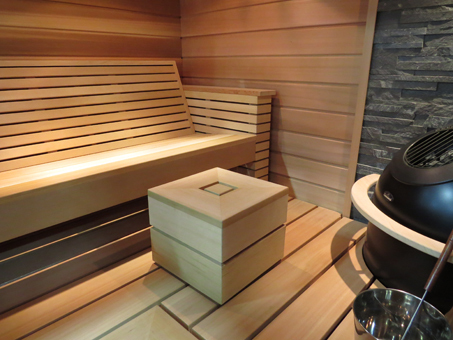 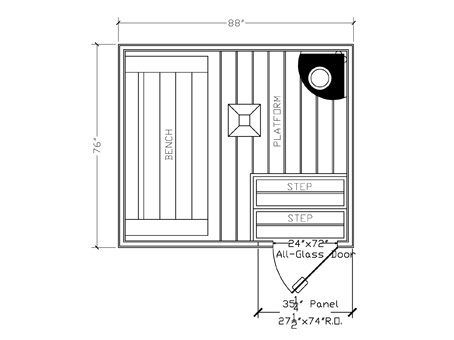 The clean, contemporary styling of Finnleo® ‘s Designer Saunas makes it almost impossible to believe they’re assembled from prefabricated panels. 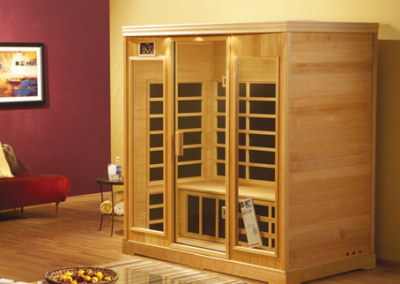 Choose from multiple Designer styles, all from the finest woods and carefully crafted to Finnleo® ‘s standards.